I'm not going to lie, this was the most difficult card I've made so far for this challenge. I really struggled with the palette, and I thought for a while I wouldn't be able to pull anything together. That said, I'm pretty happy with the result. 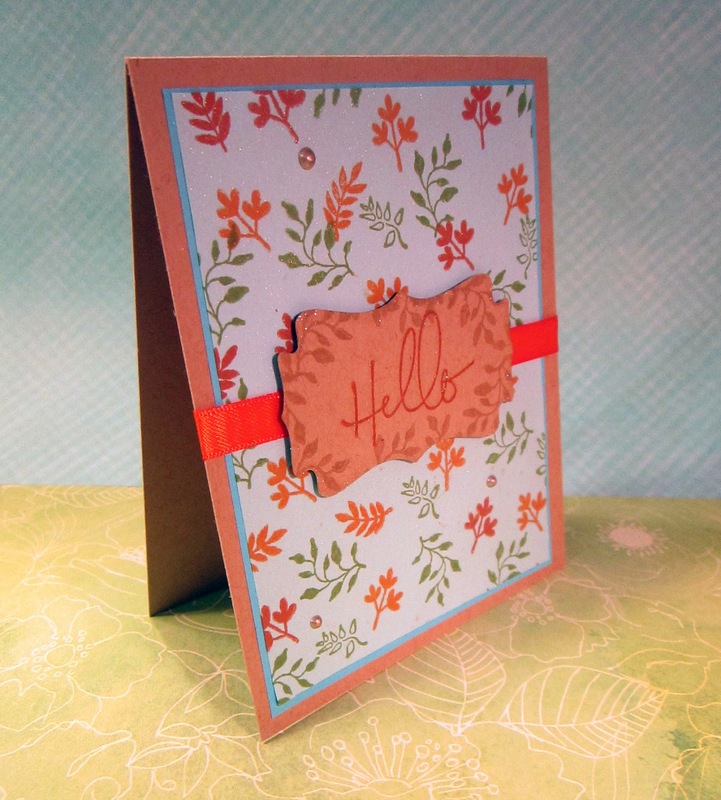 I used a kraft card base, an I incorporated the aqua color with layer paper backgrounds. 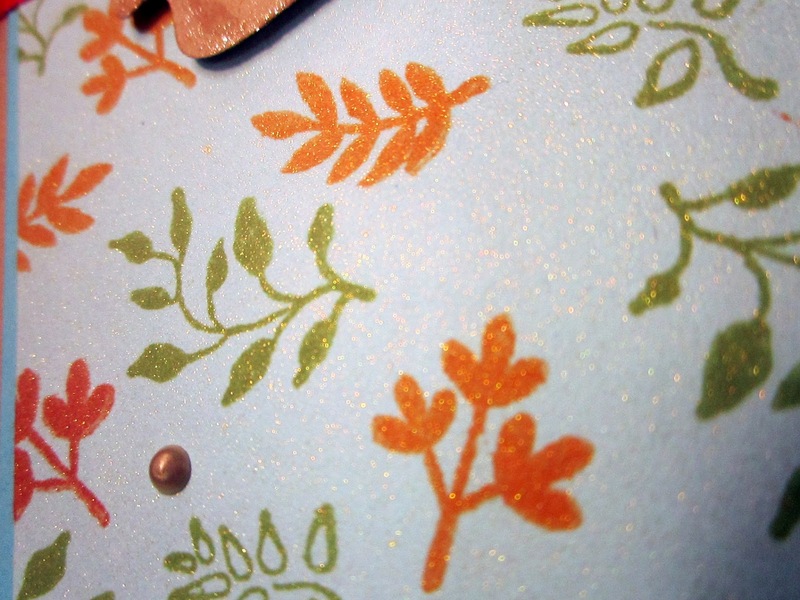 I stamped leaf patterns in orange (Memento Tangelo), rust (Memento Potter's Clay) and green (Memento Bamboo Leaves). I embellished with an orange ribbon pilfered from my sister's old ribbon stash, and some Nuvo drops in pale gold. The sentiment is popped up on a die cut. I jazzed it up with some stamping and clear Wink of Stella pen. I spritzed the samped background layer with gold Shimmer Spray, which gives it a lovely warmth, but it was SUPER hard to photograph. That concludes my third round of the Color Throwdown! Hopefully I'll be able to handle both the CTD and Inktober, wish me luck! This is so pretty! I can see the sparkle!! 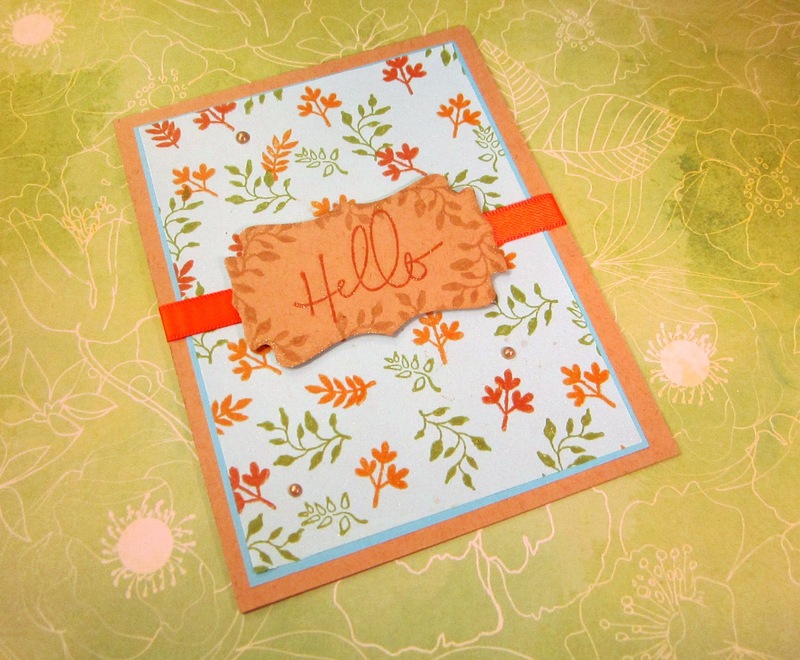 Thanks so much for playing along with us at the Color Throwdown this week! Thank you so much! It's a blast, as always!